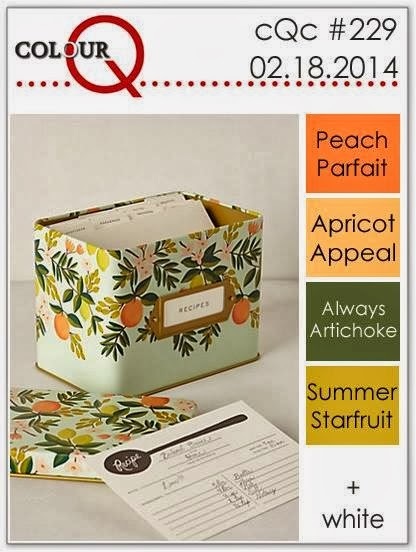 Stampin' Up ideas and supplies from Vicky at Crafting Clare's Paper Moments: Petal Parade - or is that Metal Parade?! Petal Parade - or is that Metal Parade?! I'm fascinated by the contrast between the masculinity of the metal plate and the femininity of the stamped flowers. You may recognise those flowers - they're stamped with Stampin' Up's Petal Parade, one of the gorgeous stamp sets you can get free with a £45 order during Sale-a-bration. Oh and there's a little flower in there from Banner Blast, another of the free sets! I think the metal plate is quite convincing but it is in fact pierced silver foil card stock. The foil shape was cut using one of the Adorning Accents edgelit dies - so easy to use these now I have my magnetic platform to hold them firmly in place as I run them through the Big Shot! I've tried to take a close up but I'm sure I'm not the only LiMette this afternoon who has found that metal finishes are the very devil to photograph! All this thinking of metal reminds me of a time my boys turned into metal detectors. We'd gone to a beach when they were small and I was lying in the sun while my boys built a sandcastle nearby. I smiled as I listened to them happily weaving stories of pirates and treasure. After a while, a note of unbridled excitement crept into their game and I looked up to find that they were digging a good deal more frantically than usual and had accumulated quite a pile of loose change - I suppose they'd been building on a site where a dad had been buried in the sand and had lost the contents of his pockets! The boys' booty probably amounted to less than a pound, but their enthusiasm for sandcastle building became quite obsessive from then on! Your pierced plate looks great, I like the way it wraps around the edges and yes mirri is a bugger to photograph...that's why I used pins instead. Love your new pic. Great card Vicky and I agree about taking photos of metal!!!! Only you could come up with an idea like this Vicky, I don`t know where you find your ideas but they really are brilliant. I love this card. Beautiful card - the colours work really well together. This looks terrific Vicky. That plate looks brilliant and the stamping is super! Such a lovely card and the "metal" is a brill touch. love the colour combo. A great card - love the contrast between the metal plaque and the flowers!! This is gorgeous Vicky, I love the colours you used, and the foil card looks so effective. This is lovely Vicky! The combo of flowers and metal really is unusual, but it works! Your story of your boys made me giggle.! When we were kids my brother and I were digging a hole and kept finding money! We found out a few years later that my Dad was throwing money in the hole to keep us digging! Well it worked....we were quiet for hours! Thanks for joining in this week at LIM for the metal challenge. 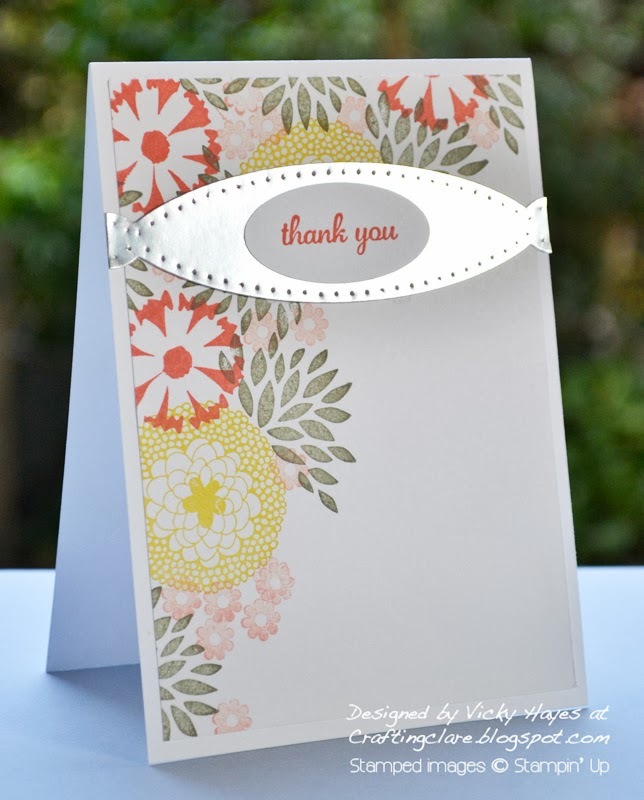 Lovely card and stamping, Vicky! So happy to see you at the colourQ this week.